Born on August 22, 1867 in Peru, Illinois, young Maud absorbed the highest principles passed on to her by her parents, developing them with an almost missionary zeal in her adulthood. Her father, William Bramwell Powell, was a school superintendent whose enlightened teaching system gained him national acknowledgment, while her mother, Wilhelmina ‘Minnie’ Bengelstraeter Paul, was a talented pianist and composer with professional aspirations in a time when it was hardly conceivable for a woman to pursue a musical career. As a result, music was part of Maud’s life from her early childhood. Her ambitious mother started to teach her the piano when she was four  and by the age of seven she attended piano lessons with Professor G.W. Fickensher. Half a year later she began to play the violin, but ‘disliked it exceedingly’ until ‘after six months […] of dutiful but irksome scraping’  she went to a concert by Camilla Urso. From that moment, her ambition was awakened. 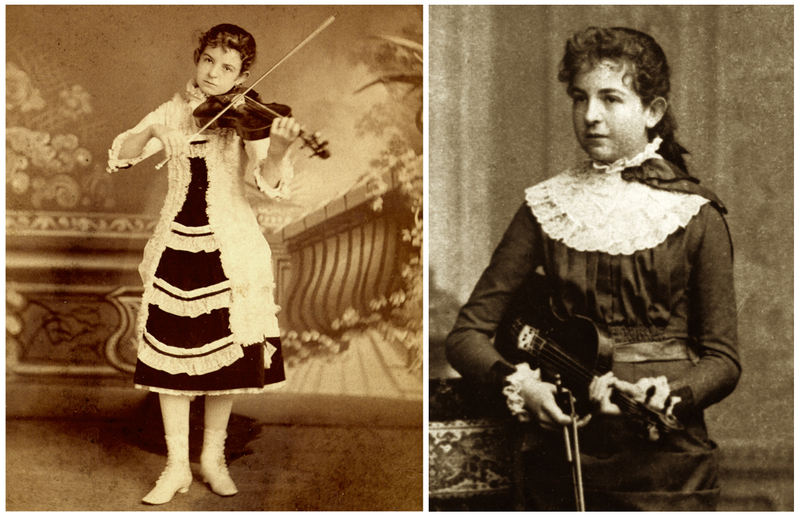 Powell’s public appearances had begun as early as 1876, but it was in the 1880s that her capabilities were undoubtedly acknowledged, when Edwin A. Stein invited her to join his all-male orchestra as a first violinist. At 13 Powell was already defying conventions. After teaching Powell for four years, Lewis advised her parents to turn to Europe. Both he and Stein recommended the Leipzig Conservatory and Professor Henry Schradieck,  a highly regarded teacher who had studied with Hubert Léonard and Ferdinand David. So the Powells split: Maud, her younger brother Billy and her mother arrived in Leipzig on July 1881, while her father remained in America to support his family. After passing the entrance exam, Powell was assigned to Schradieck’s class. She must have been a particularly talented and assiduous pupil because she graduated only one year later with a first grade diploma and, with Schradieck’s blessing, left Leipzig for Paris. During her studies in Europe Powell probably played on a violin made by George Gemünder (1869), but she came back to the US with a Pietro Guarneri chosen for her by Joachim in around 1885. From 1890 she played an Amati dated 1635, which had been loaned to her. 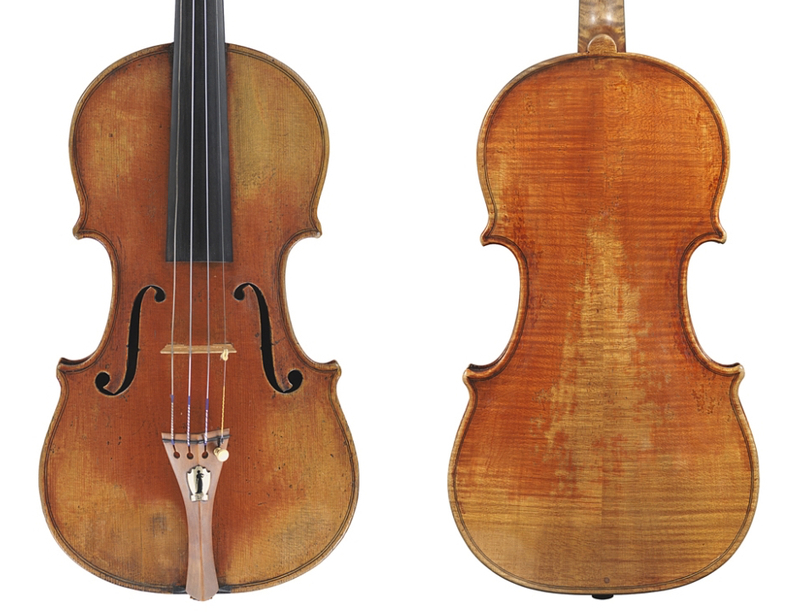 In 1903 she bought the ‘Mayseder’ Guarneri ‘del Gesù’ of 1732 and two years later a Giuseppe Rocca dated 1856 (also see Jason Price’s feature about the Rocca). 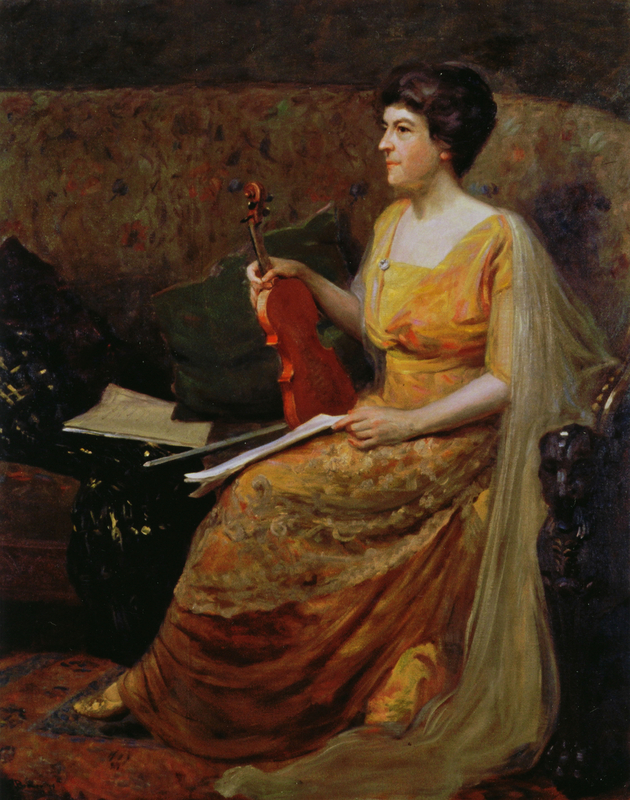 In 1907 she decided to part from the ‘Mayseder’, having purchased a violin labeled Guadagnini (now identified as an 1860 Gemünder violin), because she felt that she ‘could not play the two violins interchangeably; for they were absolutely different in size and tone-production, shape, etc.’  The latter and the Rocca violin accompanied her for the rest of her life. Returning to her native country, Powell did not slow down; if anything, her tempo increased. Theodore Thomas, one of the most important conductors of his time, directed her in her first concert with the New York Philharmonic on November 14, 1885, and then engaged her as a soloist with his orchestra for a two-year tour. That was only the beginning. For the following 35 years Powell was almost constantly on the road. In 1887 she signed a three-year contract with L.M. Ruben and began a ‘Western’ tour. In Spring 1891 she toured with Patrick Gilmore and his band, while in 1892 she concerted in Austria and Germany with the New York Arion Society. 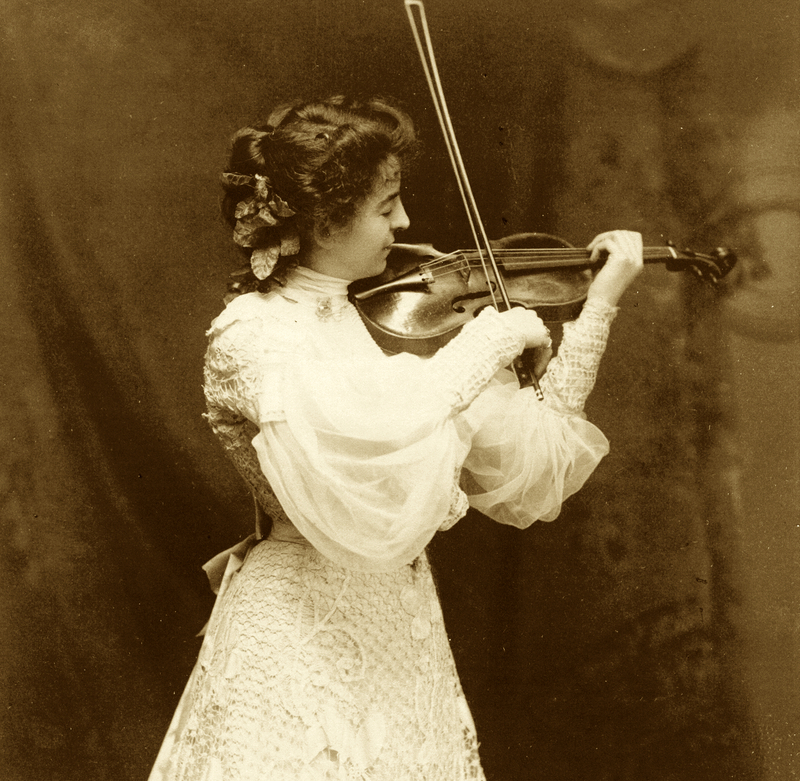 In the summer of 1893 she was the only female violinist to perform with Thomas and his orchestra at the World’s Columbian Exposition in Chicago. Having founded the Maud Powell Quartet and toured with her male colleagues for a couple of years, she returned to Europe for another series of successes (1898–1900). In 1903 Sousa engaged her for a strenuous tour through most of Western Europe and Bohemia, Poland, Russia and Scandinavia, during which she also played for King Edward VII. The following year she took a short break to marry H. Godfrey ‘Sunny’ Turner (Sousa’s English manager) in New York on September 21, 1904. But within Powell’s universe there was hardly time for personal life. And so she went on, with Sunny as her new manager, for a second season with Sousa in 1905, followed by South Africa, the US (1906–07), a season with the all-women Maud Powell Trio (1908–09, the other players being May Muckle and her sister Anne Muckle Ford), Hawaii (1912–13) and on and on. Powell became a musical icon in both the US and Europe, thanks at least in part to Sunny. She did not give up her name after marrying Sunny and he worked brilliantly on her marketing image, presenting her as a perfect combination of female and male characteristics. While praising her resolute and independent mind, he emphasized her femininity. Sunny made a logo of Powell’s silhouette and combined it with quotations from critics describing her music style. This trademark accompanied her concert programs, advertisements and stationery, and contributed to position her primarily as an artist, independent of her gender. While her packed agenda reveals her outstanding talent and well-deserved success, Powell paid a high price in terms of physical and mental exhaustion. Perhaps realising that she had overstrained herself, she decided to make a will on November 5, 1919. A few days later, on November 27, Thanksgiving Day, she collapsed on stage right after a concert in Saint Louis. After a short rest she was back for a concert on January 7, 1920, in Uniontown. Just before going on stage, she had a second stroke and died on the following day, January 8, 1920, of an acute dilatation of the heart. She was 52 years old. With thanks to Karen Shaffer for sharing images from the Maud Powell Society. 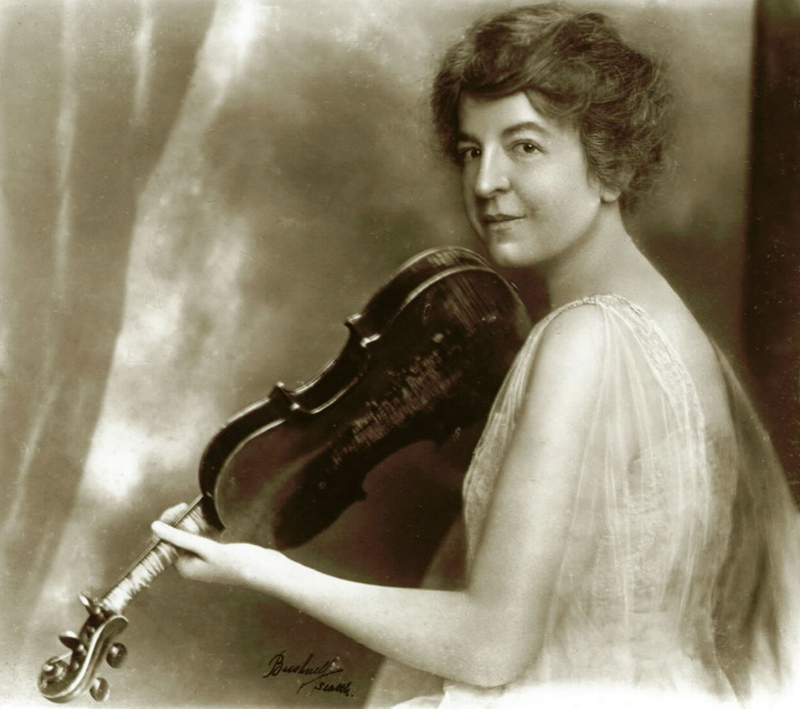 Further reading: Jason Price examines the fine Giuseppe Rocca violin played by Maud Powell. Henrici, Lois Oldham, Representative Women, The Crafters Publishers, Kansas City, MO, 1913, p. 61. Musical America, January 17, 1920, cited in Shaffer, Karen A.; Garner Greenwood, Neva, Maud Powell, pioneer American violinist, The Maud Powell Foundation, Arlington, VA, 1988, p. 419. Henrici, L. O., Op. cit., p. 66. Shaffer & Garner Greenwood, Op. cit., p. 12. Henrici, L. O., Op. cit., p. 61. Martens, Frederick H., Violin Mastery, Frederick A. Stokes Company, New York, 1919, p. 186. Shaffer & Garner Greenwood, Op. cit., p. 24. Maud Powell’s autobiographical sketch for Grove’s, cited in Shaffer & Garner Greenwood, Op. cit., p. 52. Shaffer & Garner Greenwood, Op. cit., p. 57. Henrici, L. O., Op. cit., p. 63. Martens, F. H., Op. cit., p. 186. Maud Powell Society website, December 9, 2018. Shaffer & Garner Greenwood, Op. cit., pp. 84, 207-13, 484. Martens, F. H., Op. cit., p. 194. Brewer, Nicholas R., Trails of a Paintbrush, The Christopher Publishing House, Boston, 1938, p. 249. Saenger, Gustav, The Musical Observer, New York, August 1913. B. W., ‘Miss Maud Powell’, The Strad, London, September 1900, p. 153. Martens, F. H., Op. cit., p. 191. Shaffer & Garner Greenwood, Op. cit., p. 409.